Filled with terrifying twists and turns, hazard filled hairpins, deadly drops or spooky goings-on, these 13 roads and motorways are the scariest places to drive on earth. Sit back, relax and enjoy a visit to these hair-raisers from the comfort of your chair. Why wouldn’t you want to drive around a volcano with such a fiery reputation? Your air con won’t help you if Cotopaxi decides to notch up a few more on its eruption score, currently resting at over 50. Hit the gas at the first rumble! 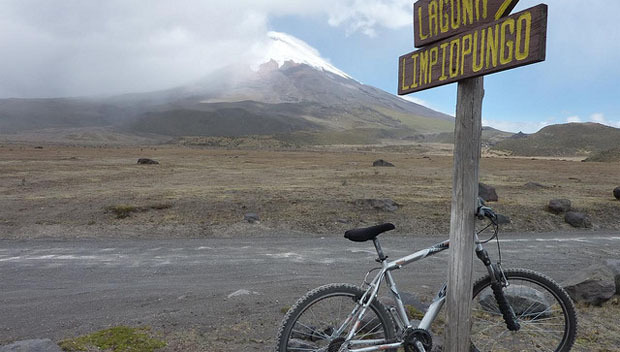 Cotopaxi Volcan road in Ecuador takes the number one spot on our list with the scariest places to drive on earth. Admittedly, the Swiss mountain scenery is simply stunning, but make sure the driver keeps their sights on the snaking road before them rather than the enveloping panorama. 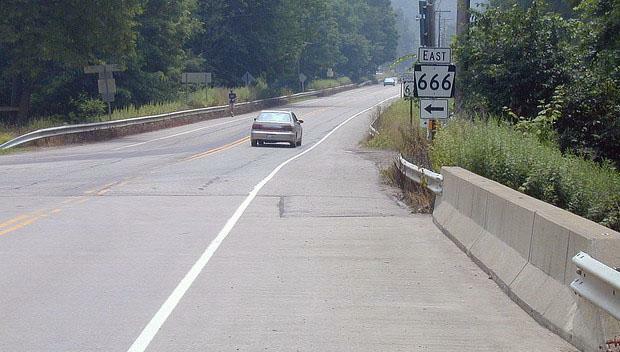 There are rails, but this is still a hair-raising drive. 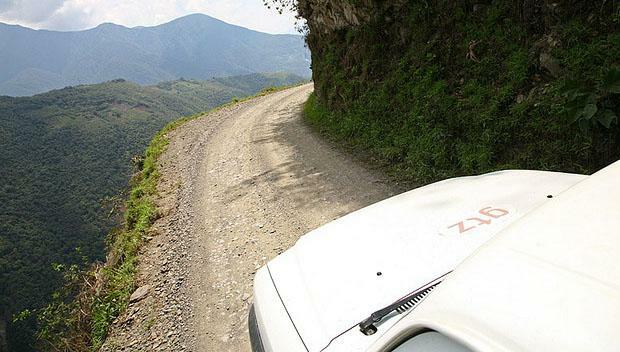 Affectionately named ‘El Camino de la Muerte’ (Road of Death), this terrifying stretch of road has been given the title of the most dangerous road in the world by the Inter-American Development Bank and has an estimated death rate of between 200 to 300 travellers. 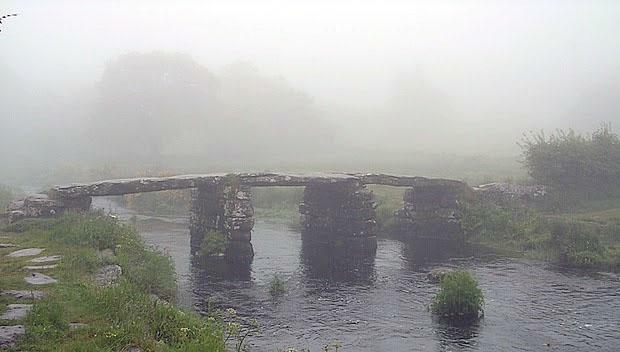 From as early as 1910, there have been reports of a ghostly pair of hairy hands which have grabbed the wheel or handlebars of travellers and swerved them off the B3212 between Postbridge and Two Bridges. The ‘Hairy Hands of Dartmoor’ continue to spook drivers. It’s not known if they show up on Sat Navs. 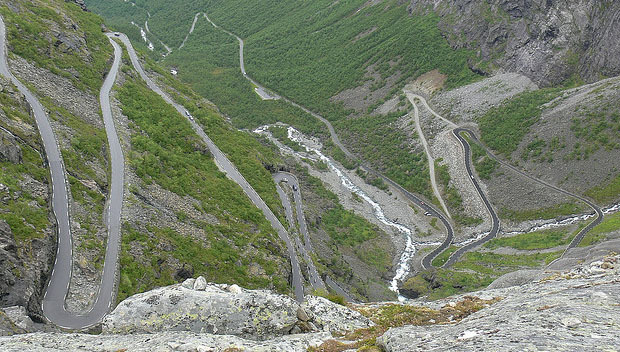 Keeping with the supernatural, the name of this incredibly narrow and impossibly winding road means ‘Troll’s Ladder’ in Norwegian. Leading to a spectacular waterfall, this road proves people will brave anything for a great photo. 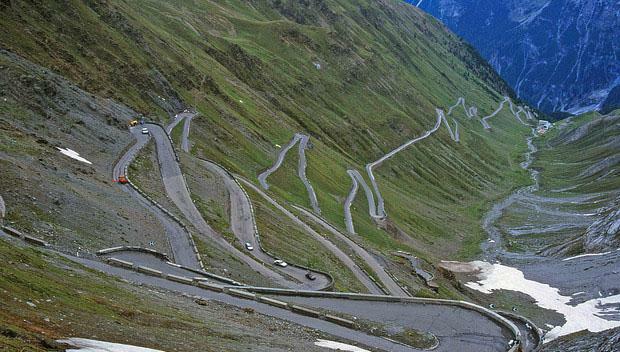 On the jaw-droppingly gorgeous eastern Alps of Italy, the Stelvio Pass looks like the brainchild of an extremely drunk rally driver. 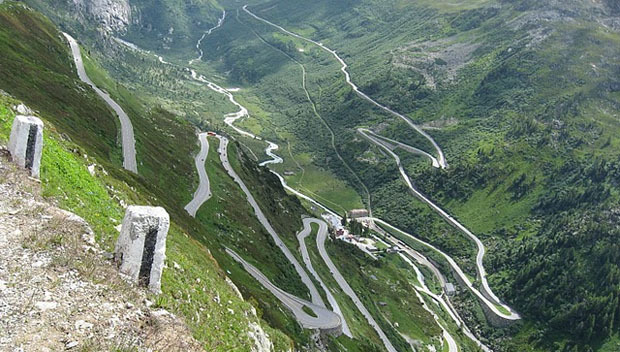 Boasting 48 hairpins, it was voted as the world’s best road for driving by Top Gear. This is one for the fearless. 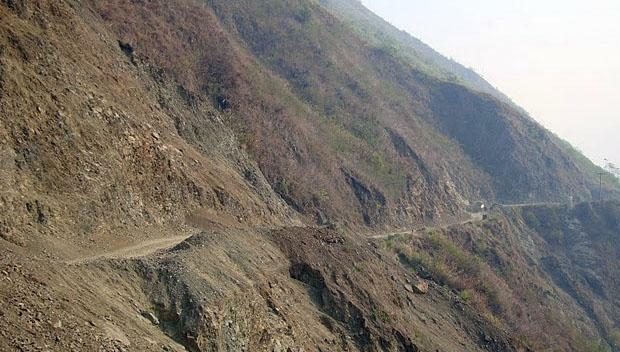 Definitely, a top contender for the scariest places to drive on earth. 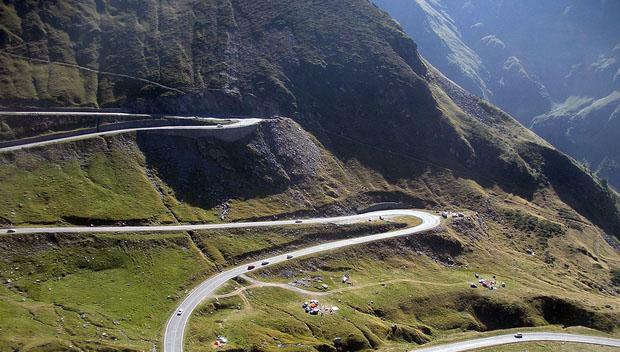 Originally built as a strategic military route by crackpot Romanian leader Nicolae Ceauşescu, this amazingly testing road runs through the Carpathian Mountains, home of Count Dracula, so swap your furry dice for some garlic. 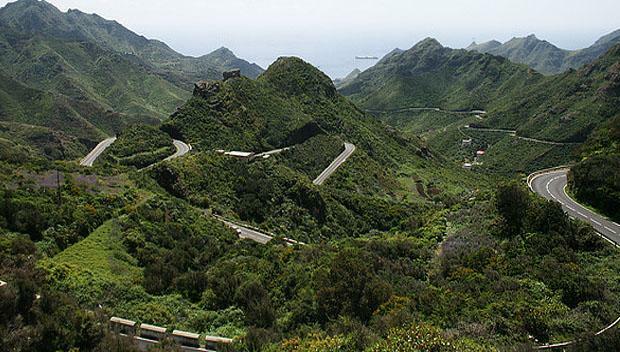 Another great driving road, this beautiful mountain pass is tough enough to tax the drivers in the Monte Carlo Rally, so only attempt it if you’re a dab hand on the steering wheel. 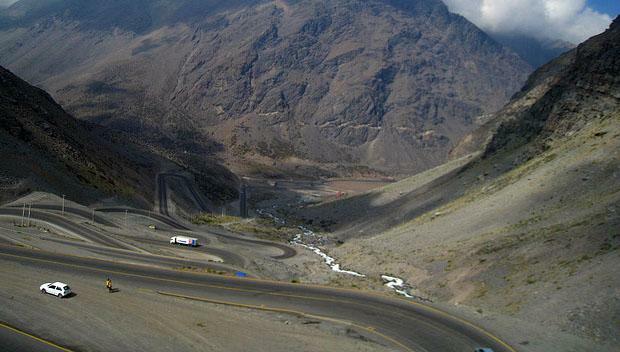 If the sharp turns and steep inclines of this marvellous pass through the Andes between Chile and Argentina aren’t enough, the road is also often snow covered, making it as perilous as the view is beautiful. Despite the guard rail this is quite a foreboding tunnel that runs right through a cliff. 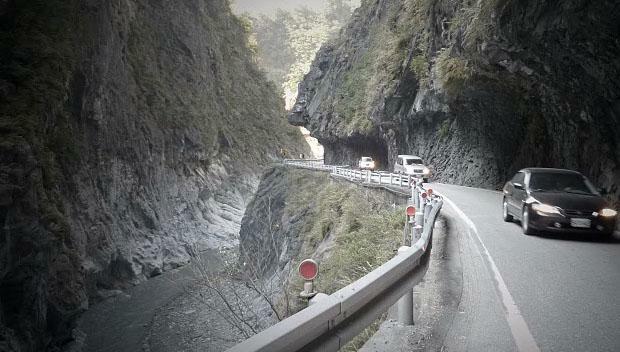 Take it easy through this one and brace yourself for the picturesque scenery of the Taroko National Park. 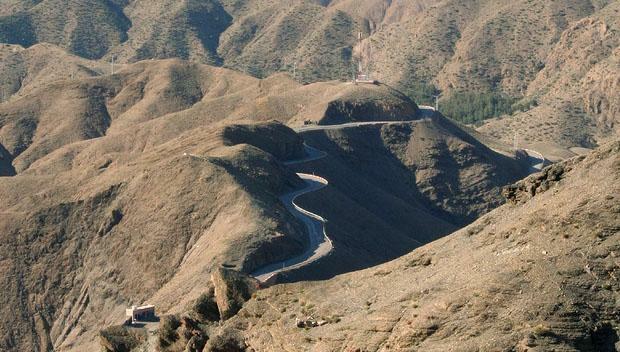 A road with dizzying twists and turns that snakes its way around the Atlas Mountains, this dusty track can be a steep motoring challenge. A perilous path beset by landslides and belligerent bus drivers, this vertiginous highway reaches an altitude of 7,400 ft at its highest point. Don’t look down, look forward! Running from Monticello, Utah to Gallup, New Mexico, there have been countless reports of a menacing black Sedan that tries to run cars off what is known as the ‘Devil’s Highway’. Avoid at Halloween and – well, just avoid it. This guest post was written by the team at VroomVroomVroom.co.uk, a specialist car hire comparison website for the UK and Europe.